This immortal quote comes from the Bruce Springsteen song Thunder Road. In this case however we are speaking about free or cheap websites that you see offered all over the place. Now as a small business I can understand people wanting to save money, and these free or nearly free sites sound like such a great deal. So easy to set up and at no or minimal cost. Now I don’t want to stand in anybody’s way, but I do feel that you should be aware of a few things before you go down this route. I will then give you an alternative to the free method. Code Ownership: Before signing up for one of these sites, make sure you actually own the code after you are done with this company. This is where the fine print comes in. 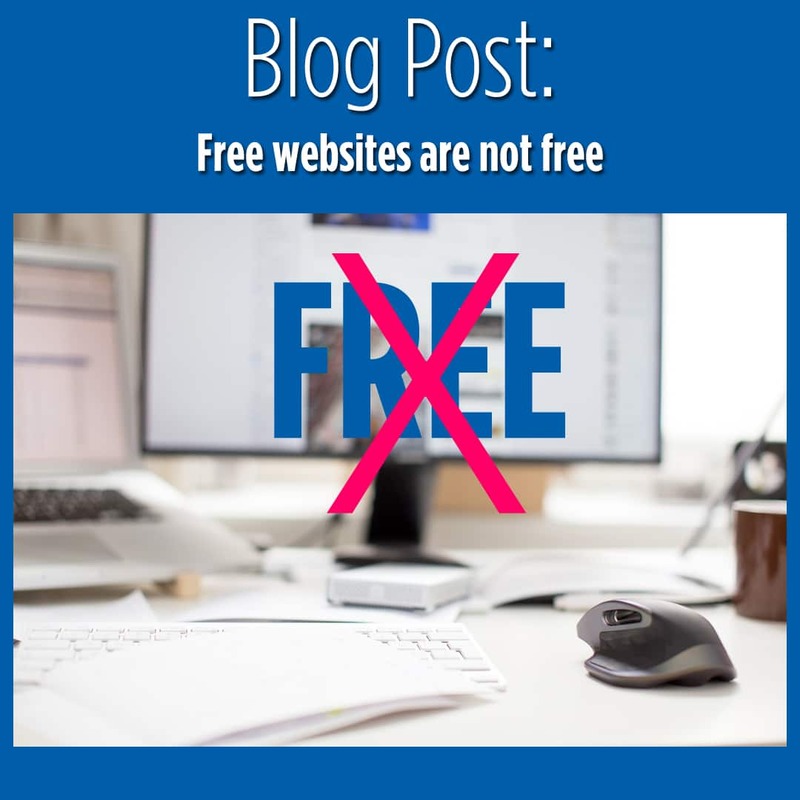 These free sites seem like such a great idea, except for the fact at some point you may outgrow this company and need to have your own server, or you may just get tired of them as the support is not what you need or are expected. The way most of these companies structure their sites, you don’t actually own the code. Now the text and images you add are yours. BUT, and this is a big but: You can’t just take your site and move it to a new server or provider. In defense of these companies, nothing in this world is free. The way they make money is to keep you and by having you sign up for some of their additional services. Additional Costs: a common tactic of the free or cheap web companies is to give you a site for free but they nickel and dime you with additional costs. For instance if you need search engine optimization, there’s a cost if you need marketing help there’s a cost, in fact when you sign up there are pages of add-ons that cost you money. What started as free ends up being more expensive than a full service provider. I had a client come to me as their free site ended up costing them $400 a month with little support. Technology: one thing Business owners don’t give enough talk to is the technology platform for their website. Many of these free or cheapo providers use their own proprietary software. As we said before, one drawback is you can’t just take your site and move it. But the other drawback is their product is not as good as some of the open source products on the market. Examples of these are WordPress and Drupal. Alternatives: as a small business, I understand all the issues that face other business owners. And I also have sought to find alternatives to costly websites. Depending on what a customer needs, we have alternative solutions that can get you to market quickly and inexpensively. And best of all our support plans will keep you up-to-date 24/7/365. If you don’t have the cash to get started, we also work out payment plans to space out the cost of your site. So at the end of the day, you own the code, you have a great content management system, and our support plans give you an all-in-one solution for content, web marketing, social media and pay per click advertising. No nickel and diming, a one-stop solution. Sadly, in the world we live in, websites are always under threat of attack from hackers and people with negative intent. A good example of this happened the other day. The company which houses my dedicated server was down for almost 24 hours. They claimed it was due to a firmware update in their main data center. Now whether that’s true, or they were hacked and they just can’t tell you for security reasons, the result was the same. 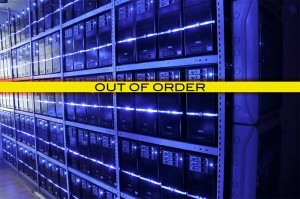 My site was down as were many of my customers who are on that particular server. Unfortunately with hundreds of thousands of sites affected, it is very hard to get in touch with hosting companies. Live chat went down as they couldn’t handle the volume, and forget about phones as you sat on hold for hours. My biggest problem is that my website and therefore my email are on the same server as many of my clients. So when they try to email me, it’s not going to get through. This is a major problem. A company like mine was built on great customer support and people know I always respond. Although some of my clients called or sent text messages, not everyone thought of that and relied on my company email or my support mailbox. So for me, the immediate need was to let people know what was happening and to provide as much information as I had at the moment. I immediately turned to social media and posted updates to my twitter and facebook accounts. Unless their is a major catastrophe, chances are one of those 2 sites is up and running. The problem is that since emergencies don’t happen all the time (Thankfully), people don’t always know where to turn. For me this is a question of educating my clients. In my next email to my client list, I will be instructing people what to do in the event their website is down and/or email. Unfortunately one of the first thing that happens is people want to go in and change email settings. I always instruct people to first make sure their websites are up and running before mucking around with your email. Typically your email settings don’t change very often. So they should leave them alone unless they speak with me. Managing websites is about communication. In this day and age you need to have alternate forms of communication as well. Social media is perfect as most people are on either Facebook or Twitter and both have an excellent up time records.